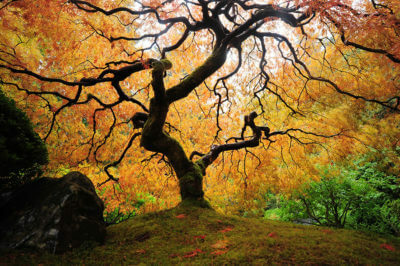 SNOHOMISH, WA: Big Trees Inc., (http://bigtreesupply.com/), a tree transplant and tree nursery company in the Seattle area, has been hired to move and transplant some large trees on a property being developed in Redmond, WA. The trees are currently in the footprint of a large planned apartment development, and once they have been moved to another area of the property, will add peace and tranquility to the property for decades to come. The property was a former homestead, and two of the large trees are unique. One is a large Japanese Maple, and the other is an unusual variety of Pine. There are also three Douglas Fir trees that are in the 30” tall height range. All five of the trees will be moved to a part of the property that will become a play area, and the tree transplants will provide some shade to the trails surrounding this social area. The company’s 90” Big John tree spade will be used to dig, transport, and set the trees into their new locations. Additionally, Big Trees is going to be digging and turning the soil from the receiving location, which will help with these trees adjust to their new location. With the soil loosened up, the trees will be able to grow new roots out into the surrounding areas with greater ease and they will have better access to nutrients and hydration.